Heading to the Global Business Travel Association Convention 2018 in San Diego? Be sure to take advantage of all the conference –– and America’s Finest City –– has to offer. Every year, the Global Business Travel Association convention brings together the sharpest minds in business travel, and this year the conference is celebrating 50 years of doing so. This year’s theme, “momentum,” translates well to many of the travel industry’s biggest talking points, as consistent innovations lead to better policies and experiences for traveler and manager alike. The milestone event will be held at the San Diego Convention Center, a 10-minute Uber trip from the airport. And the Uber for Business team will be there to answer any questions and walk you through our solutions – make sure to come by booth #3605. But it’s not just about the sessions or the expo hall (although we hope to see you there!) The conference is a great opportunity to meet new connections, catch up with old friends, and even take some “bleisure” time to explore the city’s food, culture, and nightlife. We’ve put together a list of ideas to take with you both on and off the convention floor. The official conference app is the easiest way to choose which sessions are most relevant to your work, and it’s also the fastest way to network ahead of time. Once you’ve downloaded the app and logged in using the credentials in your registration email, use the Attendees section to search for people you’d like to network with. Tap the envelope icon on their profile to send a message and get that coffee date lined up well before you land! Need transportation from the airport to your hotel? Ride with Uber! Don’t forget to request your ride once you’ve picked up your bags and you’re ready to leave the airport. If you arrived at Terminal 1, head to the transportation island closest to the terminal to meet your driver. If your flight landed at Terminal 2, meet your driver at the transportation island furthest from the terminal, on the Arrivals level. Practice makes perfect, especially when it comes to networking at a conference as large as GBTA 2018. Getting your ‘elevator speech’ when you introduce yourself down to a few seconds is no easy feat, so spend some time reviewing what you’ll squeeze into those few crucial seconds. Be sure to address who you are, what you do, and one or two points that make you unique. The convention’s welcome reception, held at the scenic Hilton Bayfront Park along the San Diego Bay, features global cuisines, cocktails, and unique brews in its beer garden. Best of all, you’ll take advantage of a built-in way to expand your network. 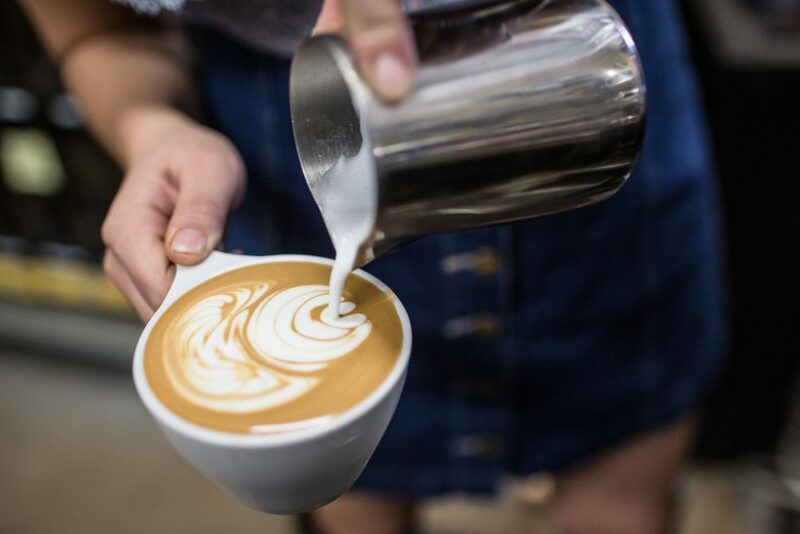 Skip the instant coffee and explore San Diego’s hottest coffee hotspots for your morning pick-me-up. Plenty of acclaimed coffee stops are within walking distance or a short Uber trip from the convention center. One great option is Cafe Virtuoso, located on National Avenue. Not a coffee drinker? These spots offer a range of specialty drinks that include herbal teas and kombucha. GBTA 2018 is jam-packed with informational sessions bringing the latest trends, research, and technologies to the global travel community. The array is truly expansive, and can even be a bit dizzying for newcomers. In this session, you’ll learn how to utilize tech tools to enhance Duty of Care and wellness for you and your employees, no matter where in the world work may take them. More information. In this session, buyers will learn new ways to stay on top of savings and traveler satisfaction within their programs. Suppliers will learn more about the issues that matter most to travelers. More information. Attend this session to learn how to use data to drive program compliance, improve traveler experience, and achieve savings. More information. Stop by the Uber for Business booth #3605 for short informational sessions about our solutions. Sit in on a quick introduction to Uber for Business, take a trip through the Uber Central dashboard, or learn how to integrate expense reporting with Concur. Want to attend more than one of our mini-sessions? Come back to the booth each day to catch a different session on how to get the most out of Uber for Business. Exploring a city’s vibrant food and drink scene is part of the fun! Some of San Diego’s coolest dining and nightlife hotspots are only a few minutes’ ride from the convention hall. Breakfast Republic, just a 6-minute drive from the San Diego Convention Center, offers huge portions and clever twists on classic breakfast fare. San Diego’s Little Italy neighborhood is a 9-minute Uber trip from SDCC, offering plenty of pizza, pasta, and sweet Italian treats. Once you’ve eaten your fill, stop by Born and Raised for a nightcap before calling it a night. If the beach is more your style, there are plenty of spots to sit and soak in the sun in this coastal city. Black’s Beach in nearby La Jolla is a famous surf spot, while Coronado Beach is home to the famous Hotel del Coronado, where Marilyn Monroe’s “Some Like It Hot” was filmed. There’s way more to do in San Diego than arrive for the conference and turn right back around to go home. While you’re practicing your elevator pitch and selecting your session itinerary, take a look at some of the amazing things to do in the city, all within a quick ride of the convention center. In between cups of coffee, upscale cocktails, and beach walks, schedule a meeting with Uber for Business, or simply stop by booth #3605 to learn what Uber for Business can do for your travelers!